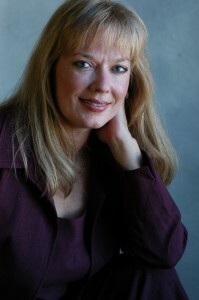 Dr. Hull’s counseling expertise is based on her professional background in environmental toxicology. She counsels celebrities, professional athletes and sports figures, other medical practitioners, doctors and dentists. Janet Starr Hull, PhD, CN is the first author to publish a book on the dangers of the diet sweeteners (NutraSweet/Equal), Sweet Poison. Her pioneering work has helped people worldwide by providing the definitive documentation on the health dangers of the artificial sweeteners. In 1991, she used the hair analysis to help her cure an “incurable disease” caused by aspartame. She then created her websites, the 10-Steps To Detoxification Program, and the Aspartame Detoxification Program to help others learn how to recover from chemical toxicity. Dr. Hull’s counseling expertise has impacted the lives of millions of people in over 80 countries through her websites, research and publications, public speaking, media appearances, and nutritional counseling. Dr. Hull has a very diverse background with academic degrees and experience in international geography, environmental science and toxicology, fitness training, and nutrition. She is an OSHA Certified Environmental Hazardous Waste Emergency Response Specialist and Toxicologist (HAZWOPER), a former firefighter and emergency responder, and is the CEO of The Hullistic Network, LLC. Dr. Hull lives in Northeast Texas on a 501c3 wildlife sanctuary and conservation center. Hull has advised government officials, UN representatives, pilots, CEOs, Olympic athletes, and entertainers on the history of the diet sweeteners. She has addressed such distinguished audiences as the European Union and UK Parliament, has granted numerous radio and television interviews, and filmed many documentaries, both domestically and internationally, on the dangers of the artificial sweeteners. Dr. Hull is the author of Sweet Poison: How the World’s Most Popular Sweetener Is Killing Us–My Story, Splenda: Is It Safe Or Not?, The Richardson Cancer Prevention Diet, and 10-Steps To Detoxification. Sweet Poison: How the World’s Most Popular Sweetener Is Killing Us–My Story was published by New Horizon Press, 1999, with a second reprint 2006; published in the UK, VISION Paperbacks, London, 2000, and was recently published in Japan, YOSHIDA Michiyo, Soft Cover, 2013; Japanese translation by Books Crossing Borders through The English Agency (Japan) Ltd.
Dr. Hull publishes a Healthy News Blog covering a wide range of important health topics including her expertise in the dangers of the diet sweeteners. Sign up for her Healthy News, or go here to view her past newsletter articles.